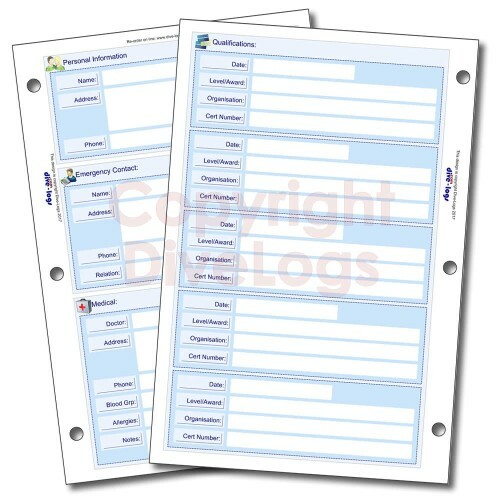 Our special scuba dive log refills for equipment, gear, servicing, and personal details. 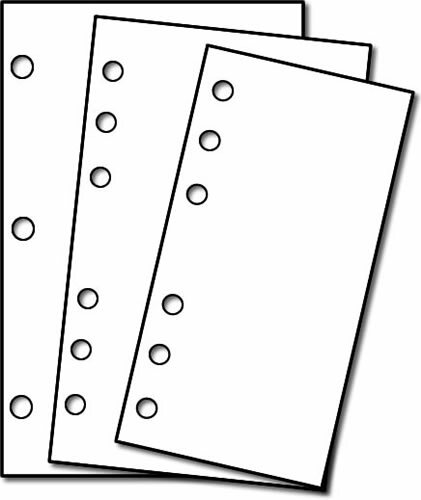 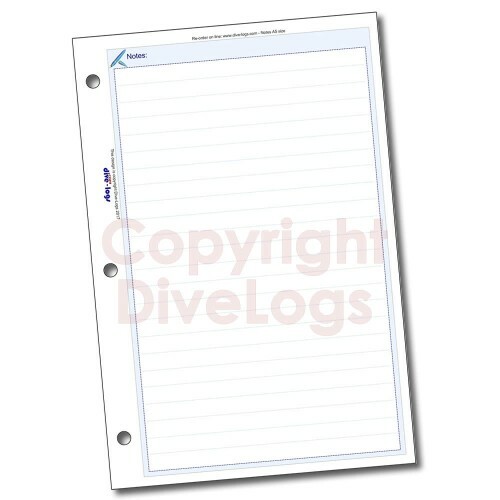 Available in three different page sizes to fit PADI, BSAC, SSI binders, as well as our own compact dive log binders. 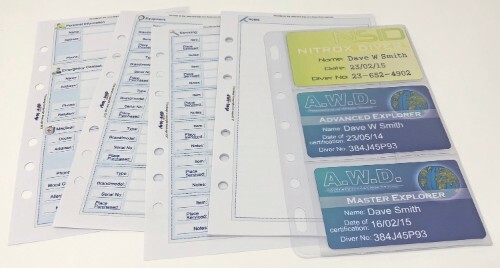 With options of water repellant Rite In The Rain paper and full colour. 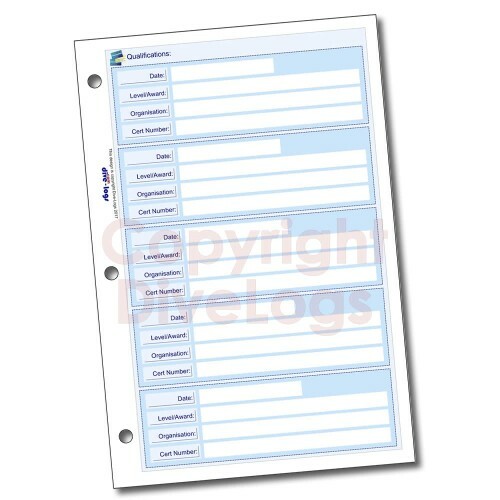 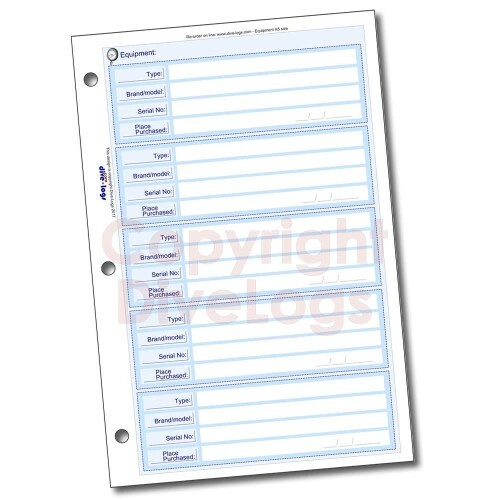 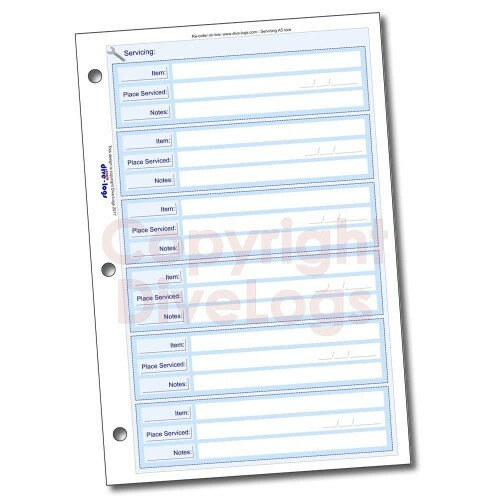 Expand your existing dive log binder with these special refills for your personal details, scuba gear purchasing and servicing, and your qualifications and general notes.